The North American Waterfowl Management Plan (NAWMP) is an international plan established in 1986 by Canada and the United States with Mexico joining later. The purpose of the partnership established by the NAWMP is to conserve and protect wetland and upland habitats and associated waterfowl populations by connecting people with nature. It was established in response to the increasingly recognized continental scale decline of wetlands and waterfowl across North America, particularly in agricultural areas. It provides a policy framework that describes the scope and goals, identifies problems facing waterfowl populations, and sets general guidelines for addressing the problems. The North American Waterfowl Management Plan (NAWMP) is an international plan established in 1986 by Canada and the United States. The purpose of the partnership established by the NAWMP is to conserve and protect wetland and upland habitats and associated waterfowl populations by connecting people with nature. It was established in response to the increasingly recognized continental scale decline of wetlands and waterfowl across North America, particularly in agricultural areas (e.g., see Tiner 1984). It provides a policy framework that describes the scope and goals, identifies problems facing waterfowl populations, and sets general guidelines for addressing the problems. Patterson (1995) described the effort to develop the NAWMP, starting in 1979 with agreement that a plan that was continental in scope was needed to resolve the ecological factors behind effective waterfowl conservation that went well beyond the capability of any single agency or country. This approach was developed as a consequence of widening recognition that traditional approaches to waterfowl conservation, encompassing regulation of hunting and protecting important and critical habitat were not successful. The private sector in particular Ducks Unlimited encouraged the Canadian and US Governments to develop a joint approach that would provide more effective conservation. Patterson (1995) also noted that for the NAWMP to be successful it needed to engage with the agricultural sector and address policies and practices that led to the loss and degradation of wetlands and waterfowl populations. This necessitated a focus on common solutions both nationally and locally and enabled pooled money to be used across borders (Hollis et al. 1992). The North American Wetlands Conservation Council (Canada) has provided leadership and a national mechanism for implementation of the plan in Canada. 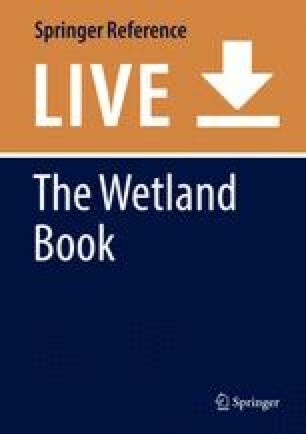 Information on the plan and the Canadian approach to its implementation is available at http://nawmp.wetlandnetwork.ca/index.php. In the United States, the NAWMP was authorized by the North American Wetlands Conservation Act of 1989(P.L. 101–233) and is administered by the Fish and Wildlife Service, with USDA agencies participating as appropriate. Information on the plan and the United States approach to its implementation is available atwww.fws.gov/birdhabitat/NAWMP/index.shtm. Information from these websites has been used to provide an overview of the implementation of the NAWMP. Foster continuous improvement in the effectiveness of plan partners’ actions through the establishment of iterative cycles of planning, implementing, and evaluating conservation programs at both the continental and joint venture levels. Conduct large-scale studies of landscape variation and waterfowl demography. Report annually to the Plan Committee and Plan partners on the status of the biological foundations of the plan, evaluation results, and their implications for future conservation activities. The NAWMP comprises a set of guiding principles and objectives for waterfowl populations and wetland conservation, including restoration, and operated as a joint venture with support from other sectors, including NGOs, in particular Ducks Unlimited (Patterson 1995). The NGOs were seen as critical for maintaining the momentum and supporting the planning and early initiatives, including engaging with the farming communities in areas containing important habitat for waterfowl. At a governmental level, The North American Wetlands Conservation Act 1989 and the funding commitment of the Canadian Government was critical to the initial viability of the plan. Goal 1:Maintain long-term average populations of breeding ducks [1955–2014 in traditional survey area (TSA) and 1990–2014 in eastern survey area (ESA)] and periodically, 40 million or more total breeding ducks and 2.7 million or more breeding ducks in the TSA and ESA, respectively. Goal 2: Increase waterfowl conservation support among various constituencies to at least the levels experienced during the last two decades. Goal 3: Conserve a habitat system with the capacity to maintain long-term average waterfowl population levels, to periodically support abundant populations, and to consistently support resource users at objective levels. Building support for conservation – the need to communicate the value of waterfowl and wetland conservation to the public has emerged as a top tier issue. Development of new NAWMP objectives for waterfowl populations, habitat, and people – the objectives should be clear and measurable, based on the best available science and modeling, and include management actions with associated outcomes, assumptions, and uncertainties. Integrated Waterfowl Management – to ensure the suite of recommendations and existing waterfowl management activities into a coherent and adaptive framework. The success of the NAWMP depends on the strength of partnerships, called “joint ventures,” involving federal, state, provincial, tribal, and local governments, businesses, conservation organizations, and individual citizens. Joint ventures typically develop implementation plans that focus on areas of concern identified in the plan. There are 18 habitat joint ventures in the United States and 4 in Canada. Two of these have international status, one with boundaries stretching across the Canadian-United States border and one that encompasses areas of the United States and Mexico. Three species joint ventures have also been formed to address monitoring and research needs of specific species or species groups. The species joint ventures are also international in scope. Despite the successes of the plan, there are still many challenges for waterfowl management, including urbanization and increasing demands for energy and water that influence land use decisions with direct and indirect consequences for waterfowl and other wildlife. Declining numbers of waterfowl hunters, a traditional funding source, is also of concern for maintenance of habitat management and restoration programs. The revision of the NAWMP in 2012 addressed the continuing loss of habitat, management of waterfowl populations, and engaging people who value waterfowl and wetlands.